There are a lot of accommodation options that you can choose from in Prague. Hotels of all types and standards as well as pensions, B&B and Airbnb are easily available. For those participants who are interested in more affordable or alternative accommodation options we may offer some accommodation options that are based on contracted prices of our organizing partner, Faculty of Science, Charles University. There are some available options. In case you like to make a reservation in one of them, please contact Jana Kropáčková at jana.kropackova@queergeography.cz. She will help you arrange your stay. If you make a reservation by yourself, prices will be different (higher). Please have in mind that the possibility of booking accommodation depends on free capacity within given dates. We suggest that you arrange your stay in advance. Participants will pay for their accommodations and cancellation charges by themselves. Accommodation is not provided by the conference organizers. Prices are shown per night, per room with breakfast. Single room = approx 60 €, double room = approx 65 – 80 €, Apartment = approx 80 € – 97 €. Children under 5 year old = free (without own bed and breakfast), extra bed / night / = approx 13 €, Children bed (without breakfast) / night / = approx 5 €. Cancellation charges: 50% of the price for accommodation – if you cancel your reservation 5-2 days before your arrival; 100% of the price for accommodation – if you cancel your reservation 1-0 days before your arrival. The hotel is located in the heart of Prague’s historical center, in the Old Town pedestrian zone just two minutes walk from the Old Town Square. Prices are per night per room with breakfast. 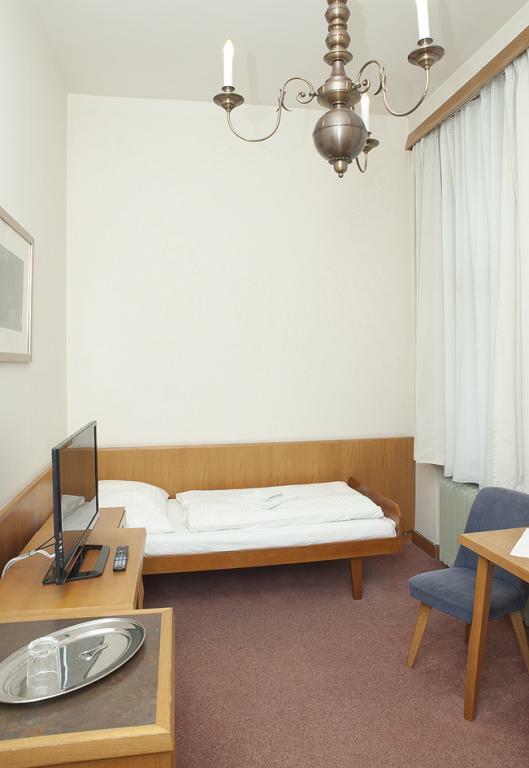 Single room = approx 89 €, double room = approx 109 €. Cancellation charges applied. For more information, contact the hotel, or conference organizers. The reservation of accommodation is binding only after payment of the deposit (usually 50% of the booked accommodation).